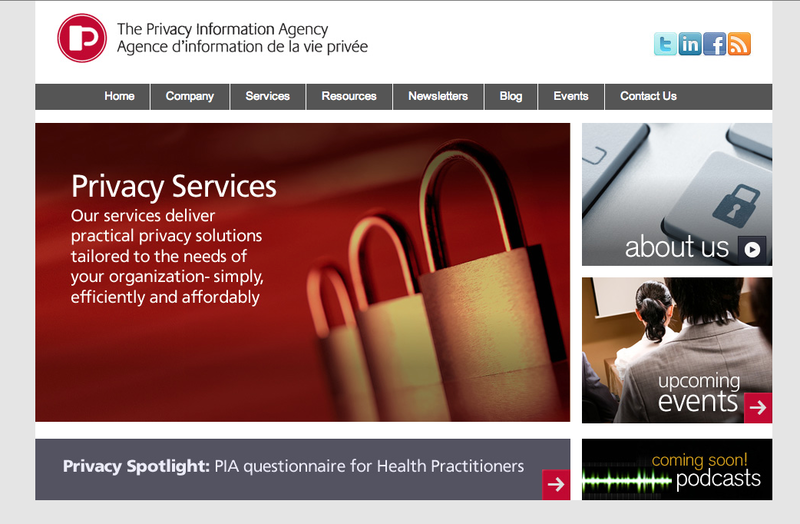 The Privacy Information Agency, based in Ottawa Ontario, is a collection of World Wise Privacy Experts who advise the public and private sectors on their privacy accountabilities to incorporate better privacy risk management throughout their organisations. We teamed up with PIA and built them a site to showcase their products and services. The site also features a blog, online newsletter system as well as aconference registration system. We have also built surveys and quizzes for PIA to allow their customers specific tailored content.